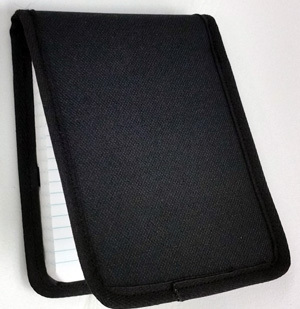 Police style leather notebook cover. This model accepts the standard Triform evidence notebook refill. It is made black nylon with 3 clear vinyl windows for extra storage. Fits book size 3.5" X 5" (notebook not included).